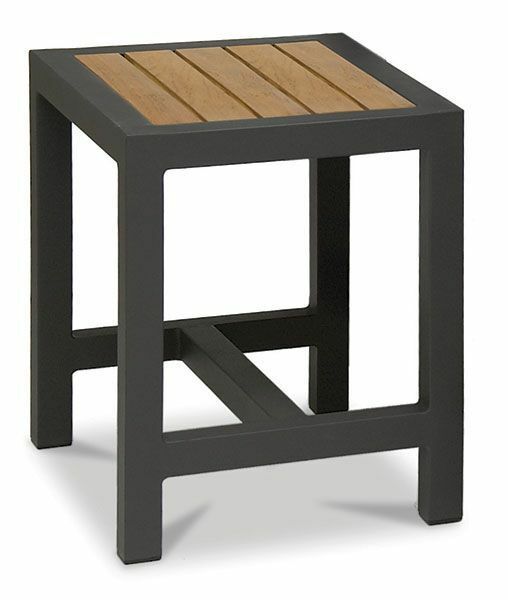 The Elisa low stool is perfect for use inside and outdoors. Includes a thick long lasting frame and wood slat seat. Perfect for a stylish interior or for use outdoors. This item is held in stock for a fast lead time. Cubic designer low seating that can be used both indoors and outdoors. The chair consists of a strong metallic frame in dark grey or aluminium. Topped with attractive teak slat seat. Held in stock for a free UK delivery.